Strong Poles has introduced a Wall Mount Bracket set that allows users to mount any Strong Poles brand 4″ Square 5′, 8′ & 12′ poles to a wall or parapet (with at least a 24” minimum distance between the upper and lower bracket mounts). 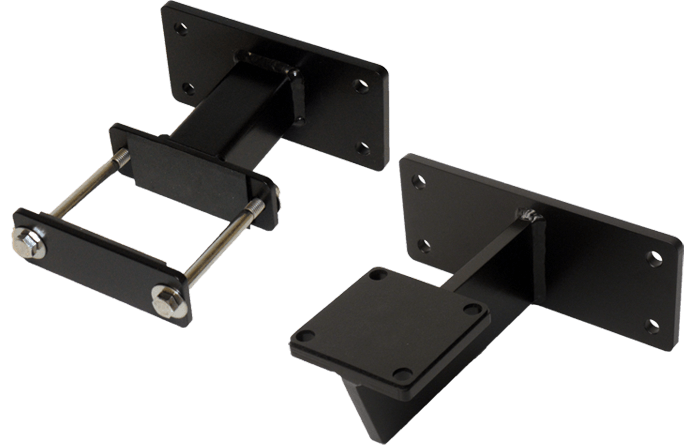 This new bracket set is a lower cost alternative to a dedicated wall mount design, and allows a user to convert a Strong Pole to a wall mount design in only a few minutes. This Pole Bracket set comes with bolts for attaching to a Strong Pole, but does not include any bolts or anchors for attaching to your wall.